There were once, and I’m not making this up, a recording engineer, you know, someone who records records, and he was telling about a guy, and I read this, about somebody he recorded and this recording artist, he was highly particular about how things should sound, how they should be played and how they should sound. And the engineer said that working with this man was very, very different than working with other people. To begin with, in the sheer amount of time that he took to record the simplest of things. And the engineer described it like this, he said: Say you ask me how to get to the Marriott Hotel, and I would say, you go down three blocks, turn left, and you’re there. I’d say to you: just go down three blocks, turn left and you’re there. But if you asked him, this artist that I recorded, he wouldn’t say it like you and me. He’d say: are you leaving from here? From right here in this room? From that chair? The one you’re sitting in now? He’d tell you how to get out of the room, direct you down the hallway step by step and describe the hundred and forty some stairs you had to go down after that. Before he was finished, you’d know how many cracks in the pavement to cross before you’d get to that hotel and how to use the revolving door to get in it. He was a man, let’s say, who turned the simplest thing into a vast, all-consuming undertaking. So this was the story of the engineer about this guy, this man, whom he recorded many times and this man, this man played the lap steel guitar. 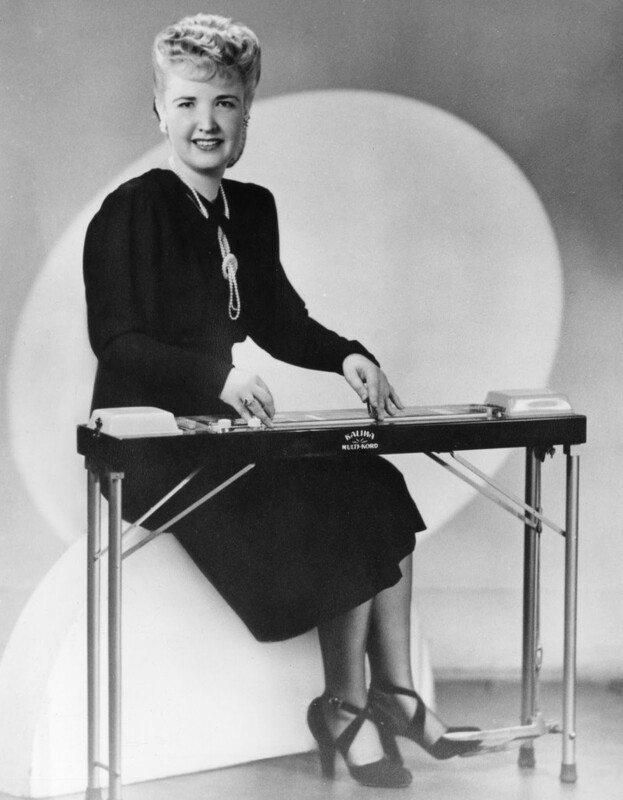 Now there have been many players of the lap steel guitar through the years. Many remarkable names have played this instrument. But this particular player had a highly singular manner of going about it. He would spend a whole day playing the tiniest thing over and over again and sometimes even that was not acceptable. It was very rarely acceptable, and it was never good enough on the first take. Now this would go on for days and weeks and even months. And there was one song in particular. A song they were working on, for months on end. ‘A Rose by Any Other Color.’ And that song had a particular quality, a particular sound, which though perhaps too adventurous for some, was at least unusual, in its own funny way even remarkable, with a particular haunting quality. There was once, and I really read this, a factory that made erasers, erasers that almost erased anything and yet if the paper was of a fine stock, there would be no marks, no marks on the paper whatsoever and that which was to be erased was gone. And one night, and I read this as well, one night there was a janitor cleaning in the factory. Cleaning the offices and the main work floor as well, which was filled with boxes and crates, thousands upon thousand of erasers of a particular quality. And this janitor, he was sweeping when he felt something strange in his shoe. A certain pressure, you’d say. And he thought perhaps that he had something in there, maybe a piece of nail or a staple or something. But he was mistaken. Upon further inspection, he discovered he had a hole in the soul of his shoe. And he knew right then, he would need a second job to buy a pair of new working shoes. So meanwhile, the recording engineer was finishing a session with the pedal steel player. It was very late. And the pedal steel player was packing up, putting his instrument away. And he was very quiet for he rarely spoke after a session. And this often bothered the recording engineer, he was not really angry with him, but he felt badly going home with the feeling that he could had done better. That his work was not satisfactory. So on this night, he decided to ask the pedal steel player how he felt it had gone. But when he spoke, it didn’t come out like that at all. Instead, he simply said that he had hired someone to clean the studio once a week, at night. He meant to ask: why are you so highly particular? Or: what drives you to be so exacting? And especially: Are you satisfied with my work? Am I doing a good job? But this was not at all what he said, he didn’t even ask a question. He simply mentioned that someone would be cleaning the studio one night a week but it would not interfere with their work. A few nights later, well past two in the morning, the janitor let himself into the recording studio. And he proceeded to sweep and dust the room, the control room where the engineer sits, where the tape recorders are. And there was a tape on the recording machine of the song which was very nearly finished after five, maybe six months of work. And the janitor accidently hit a button on the recording machine and the song was erased. The next day when the engineer and the pedal steel player came in, that song was gone. By sheer coincidence, my own version of ‘A Rose by Any Other Color’ came out shortly after that. And I am pleased to say that that record sold very well indeed. There has been some suggestion, some talk among those who harbor ill-will against me and my own pedal steel playing, all of it based on half-truths, alleged associations with a janitor, lies of a highly dubious nature, unsubstatiated information from sources of lowly reputation, ill-repute and bias. Its enough to put a man in a very, very ugly state of mind. Still, just this morning, the manager at my bank mentioned to me how much his wife likes my record for its particular haunting quality.